Be VERY keen on motor weight. 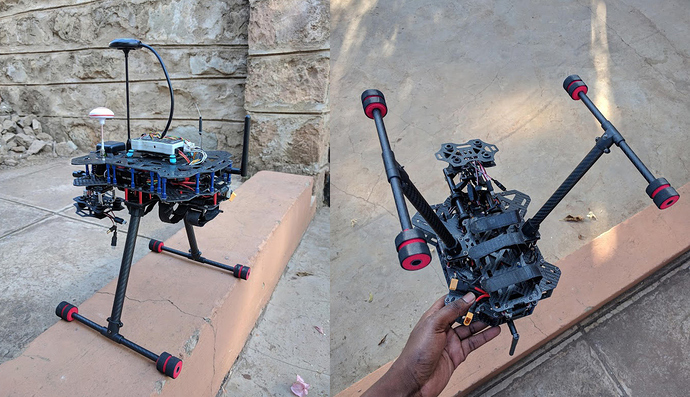 Many times we focus on the weight of the frame without taking into account the motors we plan on using, yet they are the single heaviest components on a drone (not including the battery). In my case I was using the GARTT 4112 motors which weighed about 165g EACH, bringing the total motor weight to a whooping 660g. This greatly affected my runtimes as their efficiency in g/W wasn’t worth the extra weight. Try using flat form factor motors such as the Sunnysky efficiency series or even the Tarot Martin series (4006/4008) motors, they are efficient and relatively affordable. Forget the recommended thrust-to-quad AUW ratio being 2:1, treat this more like a minimum guideline. Try and go instead for much more ambitious values such as even 3:1 eg. 7500g thrust for 2500g AUW quad. This ensures the motors are running at their most efficient power level (30-50% throttle) which vastly reduces current draw and will make your drone fly much longer. It is the same thing DJI does with their drones, the Mavic for example has total thrust well over 2000g at only 734g AUW. Focus on pitch, mass and length of your propellers. Higher pitch propellers cut through the air more agressively so may be less efficient even while being lighter (1655 propeller vs 1650 propeller). Also, for the same pitch, lighter and often more expensive propellers will always give you higher efficiency and better balance than the cheaper variety, and can increase your runtimes by as much as 8%, so be sure to take that into account as well. Finally, get a frame that can accomodate large propellers (17 inch plus) so you can run lower kV with the same thrust output. This will give you marked gains in efficiency. 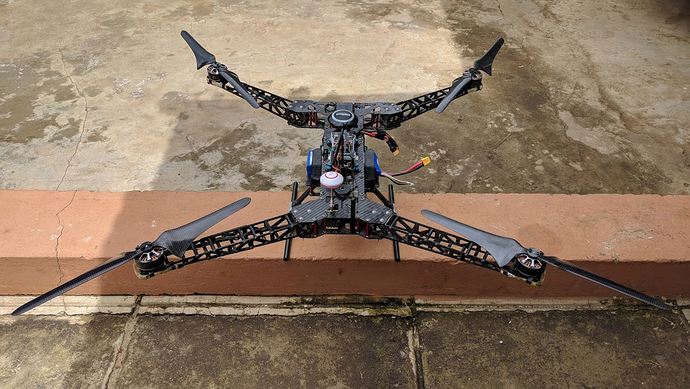 Keep your frame as light and strong as possible, which will in turn ensure your flight characteristics are not affected by the rigidity of the frame. 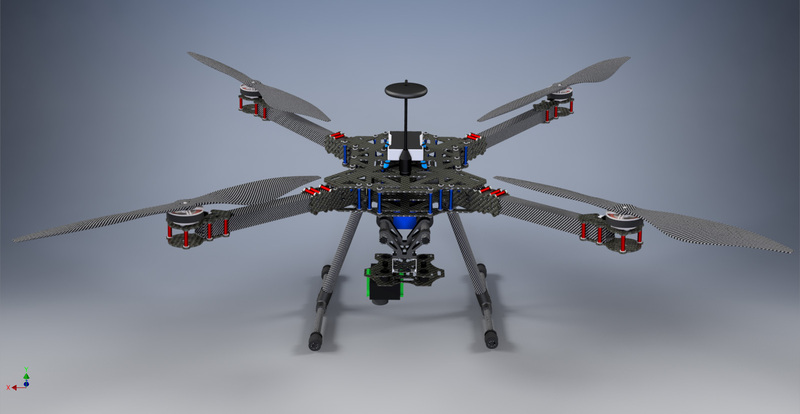 Also it will allow you to carry the heaviest batteries possible, which should normally weigh between 35-50% of the total AUW of the drone. So those are just a few of my personal pointers, if you feel I may have left something out please feel free to leave it in a reply below. Thank you for sharing that info. That build is awesome looking. It looks so much better than the other one. The props on the current build look like they are more efficient without even flying it, as well as the over all structure. That’s some big motors. I hope this build meets your expectations and more. Please continue to update.